Matt’s aware that things need to change. His species is rapidly destroying the biosphere, for instance, which is not cool. With that in mind, he does lots of things to contribute to positive change. He advises and facilitates, makes music and supports the work of changemakers, f**kgivers, and purpose-driven leaders. Matt is a speaker of rare power. 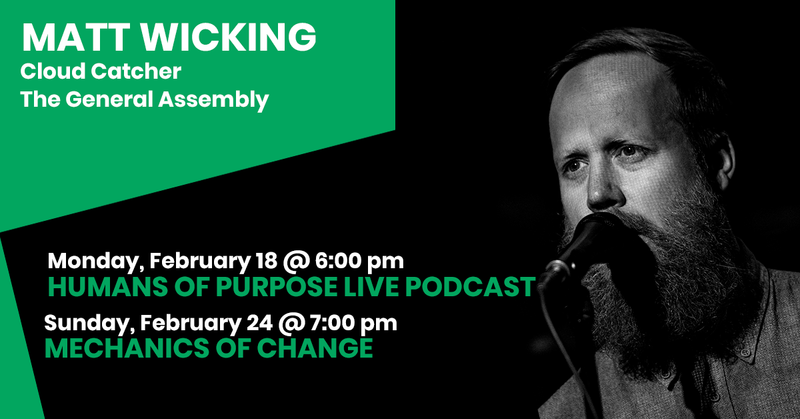 As lead singer for The General Assembly, as well as an accomplished facilitator for environment and social justice causes, he has honed a unique voice and perspective. He uses music, story and poetry to dissolve the false lines between ‘nature’ and humanity, between myth and fact.